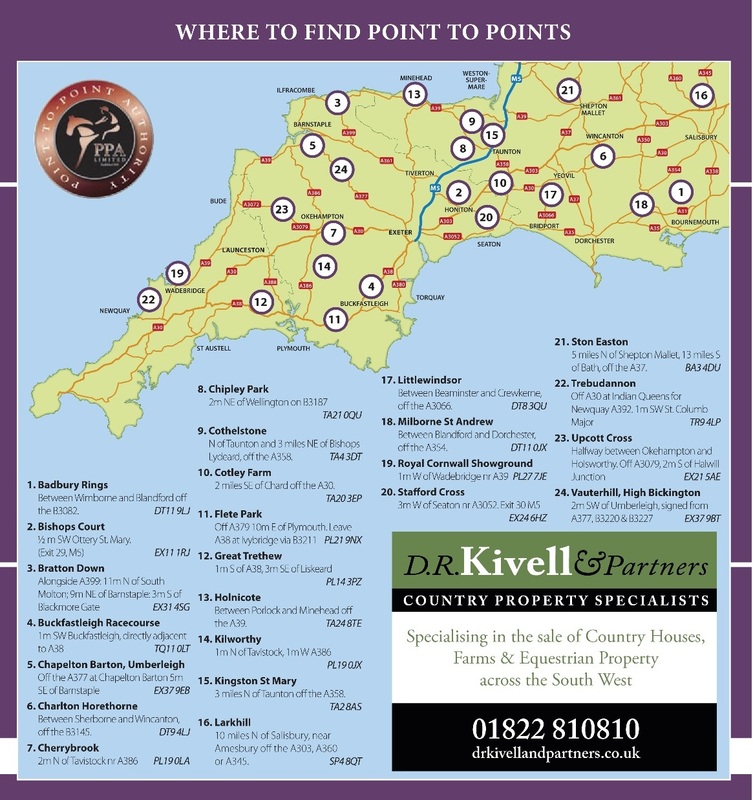 The Axe Vale host this weekend’s Point-to-Point horse racing at Stafford Cross, near Seaton, East Devon on Sunday 27th April. Pony racing, sponsored by Rob Perry Marine, head’s up the action at 12 noon, followed by the main seven race card, starting at 1.30pm. Over 100 entries have been received. In the opening Members race, sponsored by Beviss & Beckingsale Solicitors, the Les Jefford-trained entry Miss Cupcake won this race last year, coming home ten lengths ahead of another entry, Our Georgie Girl trained by Ed Walker. Miss Cupcake ran well this February when two and a quarter lengths second to Un Ami at Badbury Rings. 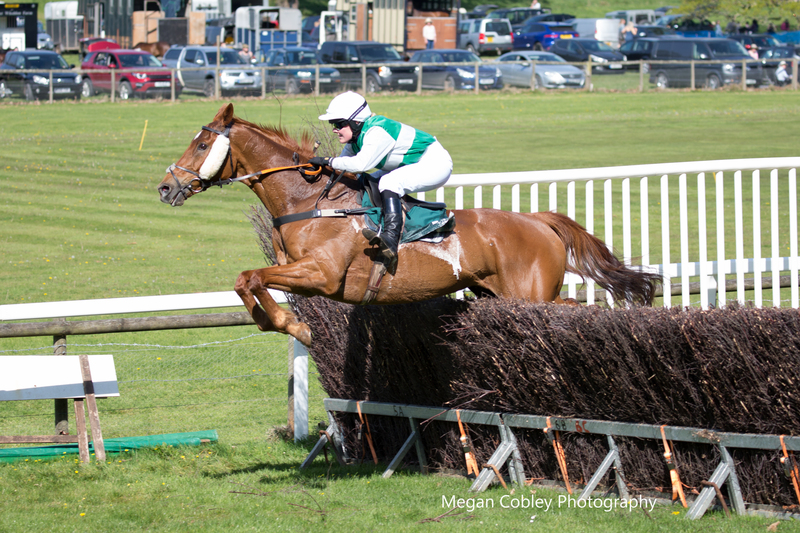 J & F J Baker sponsor the Confined race in which trainer Rose Loxton holds two entries, Join Together who under jockey Megan Nicholls recently won at Cothelstone, and Current Event a winner of five Chases and a Hurdle race. Notus De La Tour stayed on well when second at Upcott Cross, his impressive form includes second in a Grade One Novice Chase. Whenharrymetsally from the Keith Cumings team is another to consider, having won at Great Trethew in March. The Lee Clifford sponsored Mixed Open, could see Will Biddick get the leg up on Minella Fifty from the Claire Hitch team. The combination having wins this season at Cothelstone and Charlton Horethorne. Will Biddick rode his first ever winner at this track in 2004, when coming home in front on the Ross Oliver-trained Let’s Fly. 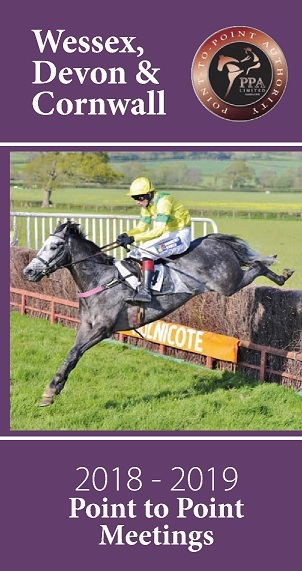 This weekend may well see him return, looking to add to his total of well over 200 winners. John Daniell and Round Tom should not be left out of the equation if turning out again after their wins last weekend. The Mythologist trained by Guy & Sophie Henderson and ridden by son Robbie, hasn’t been seen since his win at Ston Eston , but is highly regarded by his connections and could go off favourite in the Matford Land Rover sponsored Intermediate race. Master Hooper from the Robert Chanin team is another to consider, as is Soul Native having taken the 16 runner restricted at Cothelstone earlier this month under jockey Vicky Wade. In the CA Club Novice Riders race, Join Together under Megan Nicholls, if not in the earlier confined race, and Barneys Mate for Christopher Barber could have a re match. The two met at Charlton Horethorne when Barneys Mate was caught on the run in by the determined Nicholls getting Join Together up to win by a length. Ladyvie is another likely to be in the mix for jockey Hannah Welch, having run second at Buckfastleigh and Cothelstone. The Alice Pearn-trained Johnny No Cash looks a strong challenger for the Martin Diplock Estate Agents sponsored Restricted race, having run second behind Pure Oxygen at Cotley. This race may well be divided on the day having attracted 27 entries. Others to consider are Midnight Breeze for the Ollie Bush team, after his recent win at Portman. Donpierre for Ben Robarts having run well at Upcott Cross, and the Michael Miller-trained Sparkling Miss having won her Maiden at Milborne St Andrew, then ran three lengths third at Badbury Rings in a Restricted won by Posh Totty. Concluding the day’s event, is the Open Maiden race sponsored by Scott Rowe Solicitors. Richard Barber holds three entries, General Ginger, Whataknight, and Willow Bird. Mount Prospex trained by Jill Dennis could follow up on his third at Upcott Cross. Paul Nicholls has entered The Eaglehaslanded and market support could be worth following. The course offers a good party atmosphere, where you can choose to either bring your own picnic, or use the excellent catering facilities on site. There is also a Tote, Bookmakers, bar and trade stands. Entrance is £20 car and occupant’s, or £10 car and driver.